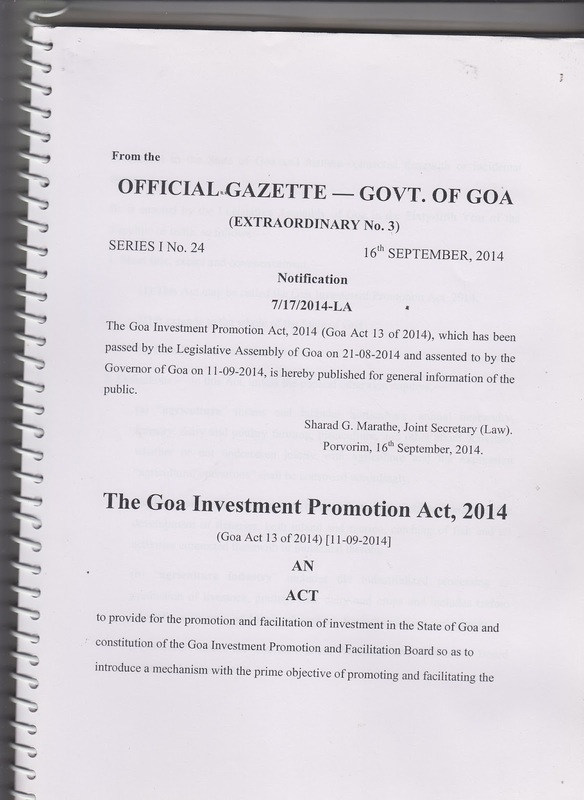 BHARAT MUKTI MORCHA: Why the Goa Investment Promotion Act, 2014 is dangerous for Goa? 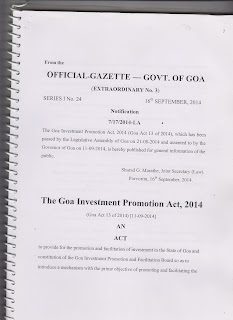 Why the Goa Investment Promotion Act, 2014 is dangerous for Goa? 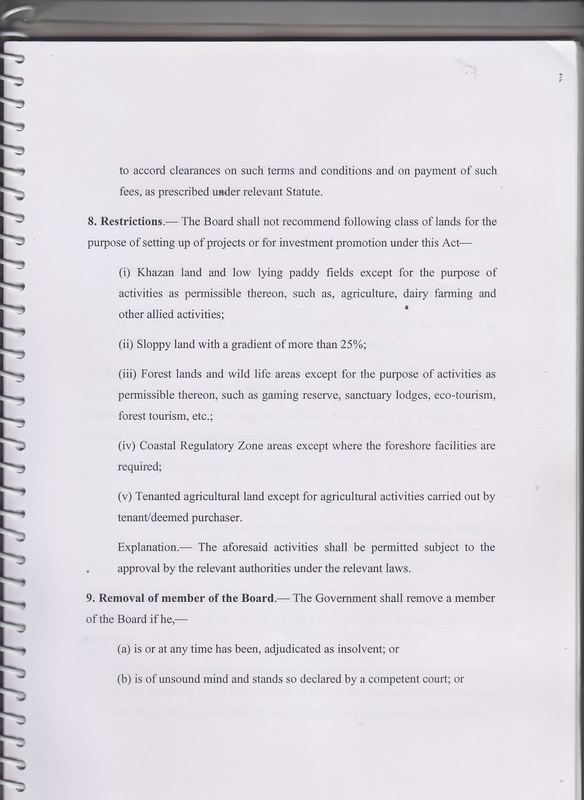 The Goa Investment Promotion Act, 2014 is dangerous law for Goa. The principle underlies this law is undermining of democracy in Goa in toto. 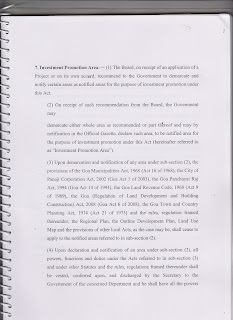 Once any area is declared as Investment Promotion Area according to section 7 (3) existing laws in Goa cease to apply. 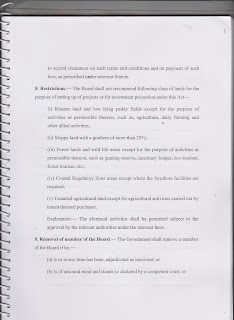 These powers includes power of the Municipalities, powers of the Panchayats, powers of the Collector under Land Revenue Code, Powers under the Goa (Regulation of Land Development and Building Construction) Act, Powers of Town and Country Planning Act, Regional Plan, Outline Development Plan, Land use Map and powers of other local laws. No laws can be enforced by local level officers. According to section 7(4) the cadre of central government known as Indian Administrative Service (IAS) in their capacity as Secretary to the Government for the concerned Department are bestowed with all the powers to accord clearances on terms and conditions and even payment of fees as prescribed under various statutes. Many have still not understood and think that Panchayat secretary in villages are going to be powerful! Never. By law they are not required to consult anyone in the world even though verbally we are told that this is not the case. But these verbal assurances has no legal basis. These IAS officers are more powerful than even Members of the Parliament. Only thing (other than Public Pressure) though that can act as deterrent for them is the PMO (Prime Ministers' office that has power over IAS officers. Before 1961 affairs of Goa was decided in Lisbon, Portugal. From 1961 to 1987 Goa was Union territory and affairs were decided in Delhi. From 1987 till 2014 it was craze for land in Goa but decision were taken from Goa though High Commands remained in Delhi. From 2014 with this law The Goa Investment Promotion Act, 2014 it is ushering in of the era of slavery of Goa and Goans except Bamon Bhatkars who are busy selling Goa's land which they captured thorough deceits and cheating of mulnivasi Goans. The Need therefore today is of freedom struggle. This law is a symbol of slavery. Bamons after taking control over Indian administration are extending their hold over Goa through backdoor. 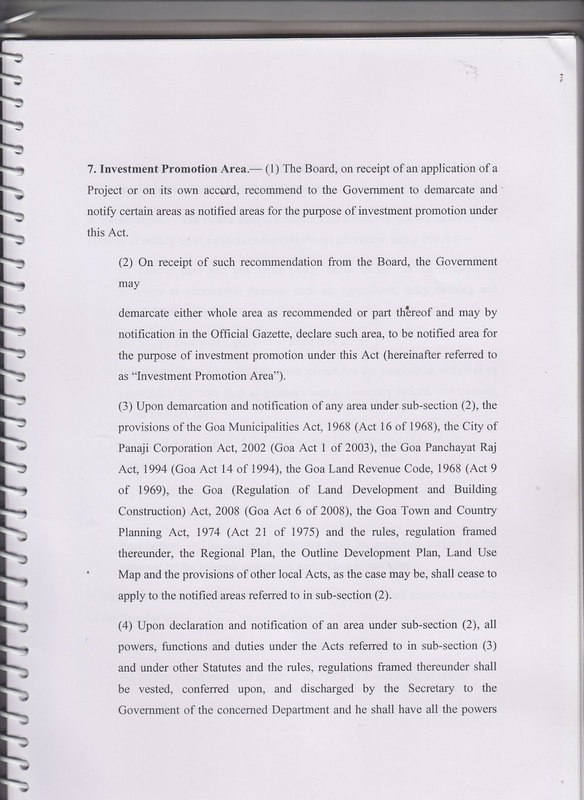 What does this law the Goa Investment Promotion Act, 2014 means for Vanxim? 1. Gram Sabha and its power is now a history. Public is treated with complete contempt. Typical colonial attitude in law. 2. Decision of Gram Panchayat is irrelevant. What the elected members decide is fit to be permanently in dustbin. 3. Decision of the local MLA is non- consequential. Irrespective of who the local MLA is he/she is non entity in decision making of Vanxim or any Investment Promotion Area. 4. Zilla Parishad member is useless and has no role at all to decide the affairs of any area that comes under Investment Promotion Area. 5. B.D.O. that is Block Development Officer has no power over what is to happen in any Investment Promotion Area in Goa. 5. Mamlatdar is toothless and so is his higher officers. 6. Deputy Collector is without power. Corporates are expected to pay their haftas no longer to lower level officers but will henceforth concentrate at highest offices of power and its proxies. With the centralization of power also will come centralization of corruption. When corruption is centralized entire administration and polity is destined to be corrupted. This is a shameful deed of the Bamon Raj though BJP and we are vigilant about this. There is spree of clearances of the projects in the State of Goa and how much the ruling parties have received in kickbacks is anyone's guess. The figures are definitely astronomical figures. Bharat Mukti Morcha calls for the repeal of this the Goa Investment Promotion Act, 2014 with immediate effect. Along with this there is an urgent need to include Political Parties under the purview of the Right to Information Act 2005. Otherwise Goa is turning into colony of New Delhi being sold rapidly for corporate greed. Bharat Mukti Morcha stands totally and completely opposed to this law. Additionally Office of the Archbishop of Goa is party to this ongoing corruption over Vanxim as well as Investment Promotion Board (IPB). Their office is answerable not only to catholics of Goa but to all the people of Goa.